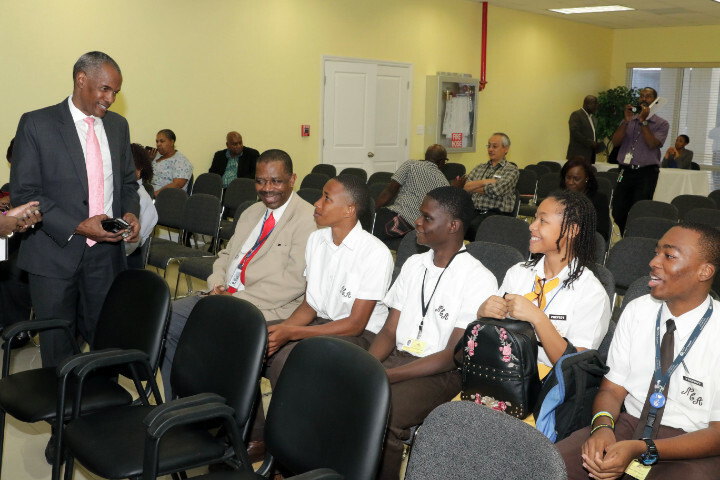 Former Minister of the Environment, Earl Deveaux was the featured speaker at the Ministry of Works Distinguished Lecture Series held at the Physical Planning Unit on Thompson Boulevard, Thursday, February 28. (BIS Photo/Derek Smith). Nassau, Bahamas -- Former Minister of the Environment, Earl Deveaux was the featured speaker at the Ministry of Works Distinguished Series. The event was held, Thursday, February 28. Mr. Deveaux addressed the topic, “The Bahamian Environment: Planning, Development and Preservation”. In attendance was the Minister of Public Works, the Hon. Desmond Bannister, who said the lectures present an opportunity for the public, stakeholders and staff members to be exposed to a variety of subject matters and issues facing the country. During the lecture, Mr. Deveaux discussed several issues including: solid waste, destruction of trees, habitat loss, creeks and wetlands, the queen conch and the Nassau Grouper. He said Bahamians must be cognizant of the fact the way of life and the economy of the country are ‘inextricably’ linked to the environment. 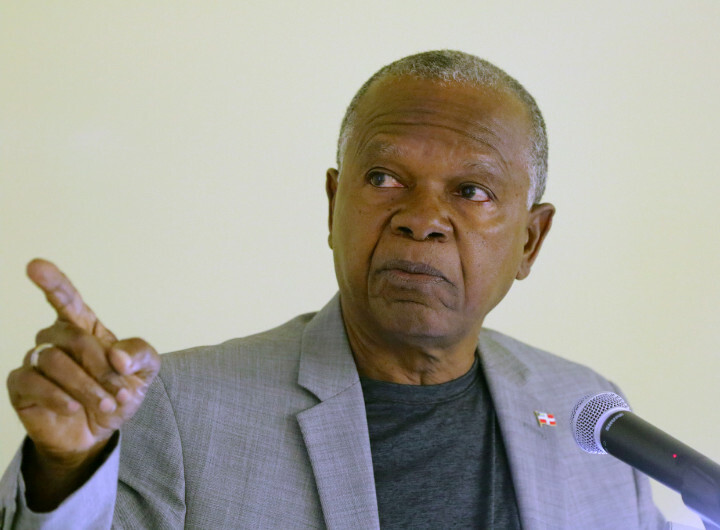 He also cited and discussed some of the laws that the government has enacted to protect the natural resources of the country including: The Planning and Subdivision Act, The Forestry Act and the Bahamas National Trust amendment Act. Mr. Deveaux also answer a few questions posed by attendees on such topics as OBAN and the mining of Aragonite. The Ministry’s Distinguished Lectures are held every Thursday at the Physical Planning Unit on Thompson Boulevard.